The Makita dust extractor range is a popular choice with customers looking for an efficient dust extractor suitable for residential and commercial use. Makita have created a great range to choose from, with both L Class and M Class extraction options available. 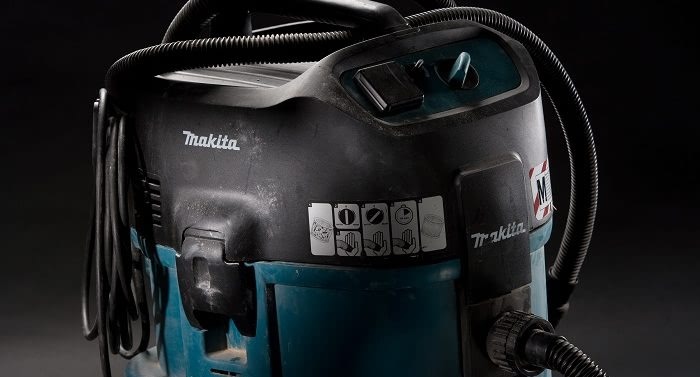 We take a look at the two classes of Makita dust extractor and compare the models in the range. Most customers tend to go for the L Class extractors, as they are suitable for most applications and provide better value. M Class is better suited for applications using hazardous materials that require a greater level of filtration. Both classes meet health and safety guidelines for residential and commercial dust extraction. The question we get asked most is about power take off – the only makita dust extractors that feature 110v power take off are the VC3211M, VC1310L and VC4210MX . These are available for special order. For any questions about the Makita dust extractor range and for help choosing the right one for you, visit us in store or give us a call on 01223 498700.